Amazon has a whole slew of new Hunger Games shirts, some of them official Hunger Games merchandise and some of them not. Most of the official merchandise is still on pre-order, but it will be shipping in about a week. When I did a search today, 209 shirts were returned in the results! In addition to these you can get shirts with Rue, Haymitch, and Gale, Prop Replica Training Shirts, Team Finnick, and more. 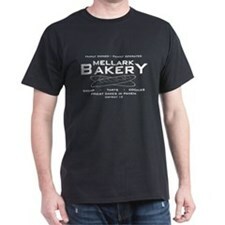 Check out all 200+ Hunger Games shirts at Amazon. Which are your favorite? Tell us below!